Mother's Day luxe gift guide...We just made it really easy! It is April 23rd which means we don't need to panic yet as we have over two weeks until Mother's Day [May 10th]. This year we decided to be proactive and publish our little helpful shopping guide early so there is plenty of time to get these great gifts ordered. Our list is short but will get you headed in the right direction. If you are a Mom-please forward this to your husband/partner or adult children so they can do the heavy lifting. • It is true that Mom feels great to be remembered, but that doesn't mean ordering from a generic florist is always the answer! Bouquets of her favorite flowers [with less filler such as leaves and babies-breath] will always be appreciated. Think luxe, personal and something that will remind her of you. • Mom is all about good memories! Send her something that means something to her. Like a necklace with her initials, or a monogrammed bag like above. Please don't overdo it with a huge monogram, in this case small and understated is the best solution. • Was there a special trip you took with your Mom or a place you like to go together? The museum or theatre? What about theatre tickets? Mom's like to spend time with their kids. • The last gift that I think is brilliant i[it includes multiple gifts in one is the Mother's Day Bundle on Huckberry. For $89.98 plus shipping you get a photo frame, a bag of espresso beans, a candle, a card, a labradorite necklace and a lovely yellow wrapping cloth. Click here to view. The best gifts are always the one's that are the most personal; the artwork on our shelves from our children, nieces and nephews when they were little. If you can make artwork for your mom I would say that is the best gift you can give her! Otherwise, please refer to the list above and happy shopping. Lets talk: Style + Design + Inspiration! When we started our blog the goal was to create a place in which we could share style and design ideas as well as introduce stories about people who inspire us. We can say that it has been all of that and more over the last year and we want to thank all of you who have shared your stories, ideas and comments with us. You make this all worth it! 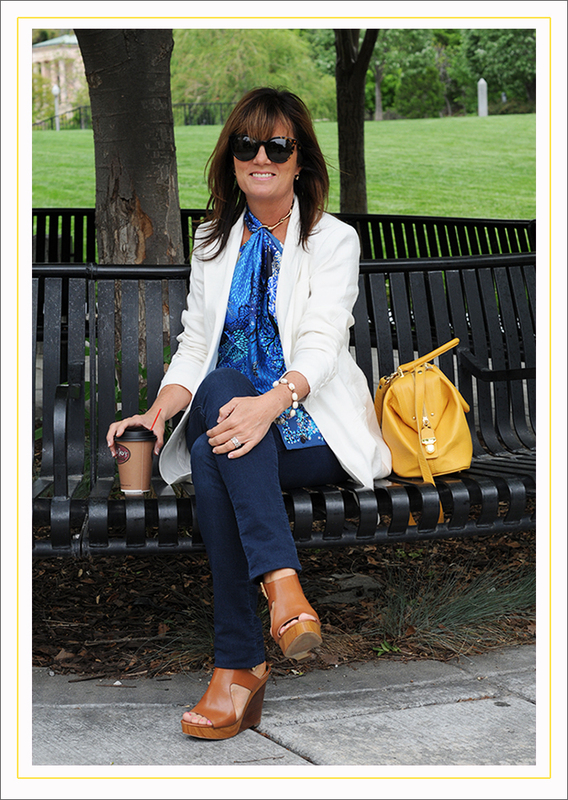 Fear No Denim: Boyfriend Jeans even if you are over 40! We are working on new ideas all of the time and welcome your input and feedback in our comments section. We would also like to invite you to email us with any ideas you have or want to share. If you like what we are doing please invite your friends and family to the conversation by sharing our link. 1. Subscribe to our blog so that you can receive our latest posts into your email box. We post 1 to 2 times a week. • You will now receive our emails in your inbox! • You can easily unsubscribe anytime by clicking the link at the bottom of the email newsletter. Thank you again to all of you who made this last year magical and memorable! Shopping for floral pumps for spring: a personal first! 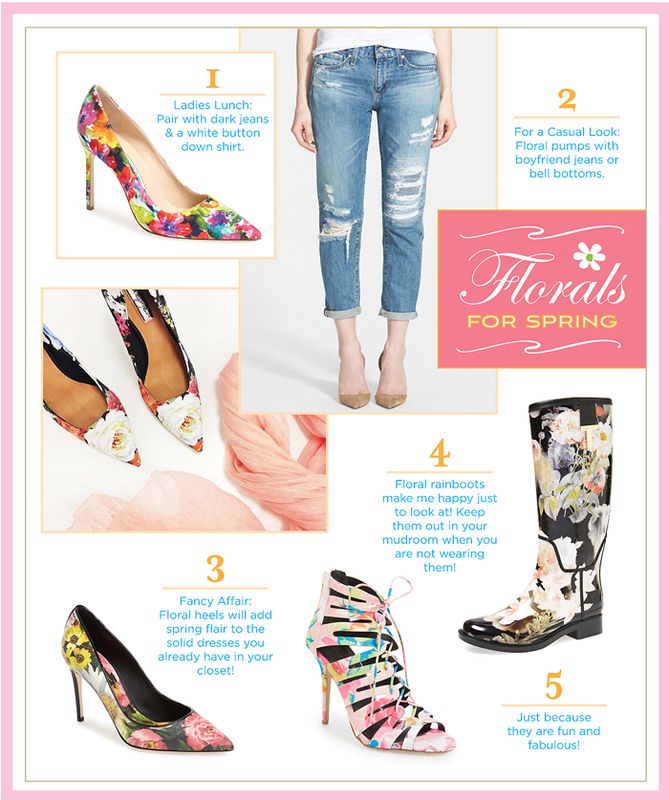 I have a confession—I've recently been daydreaming about floral shoes! If you know me—the last thing you would ever have expected [ in a million years ] is to hear those words pass my lips! I called M and asked her if she owns / wears floral shoes and she texted back a photo of a very tired pair that have not been worn in decades. So we are both now on a mission to find a pair in the next month. How have we gone this long without these little lovelies? No one in my life would ever expect to see me turn up at a lunch or party with my feet adorned in a floral print and it is for this very reason that I am moving full steam ahead on choosing the perfect pair! I will post my final decision early May on Instagram at: pamelaquigley. Please follow so you can receive the feed. 1. I could wear them to lunch with friends or my hubby during the spring and summer months. They would look gorgeous with linen palazzo pants or white jeans. 2. I can pull on any old pair of denim jeans with this shoe and look totally put together. I'm thinking bellbottoms which allow only the front toe to show would be a great look. 3. If I have an upcoming wedding or other formal event I will be prepared ahead of time! 4. I love being tall on date nights as my hubby is 6' 1" to my 5'3". 5. Any of the florals will look great with dresses I already own: summer brights as well as neutrals. 6. I don't have any floral heels or pumps YET and will only buy them if they don't hurt my feet! Gotta feel good to walk in! If you are considering adding this feminine look to your wardrobe check out some of my "research" to the right and email us at Patina & Hue with photos of floral shoes you have or are thinking of getting. We will add your photos to our post early May! Happy Shopping! 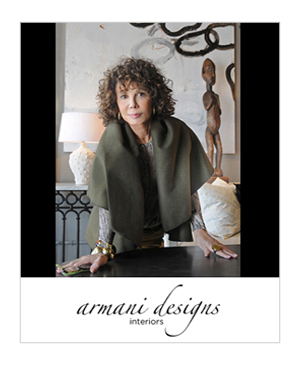 We are always on the lookout for style savvy blogs that are focused on women 40+ and love what 1010 Park Place is doing. So it goes without saying, that we were thrilled when this New York based shopping site and blog invited us to be featured in their style section. If you haven't had the chance yet we highly recommend you jump over and stroll through their: Style Inspiration, Brenda's Blog and see the fabulous finds in the 1010 Park Place Shop. Thank you to the 1010 Park Place team for featuring Patina & Hue, it was very fun! To see the our interview click here. 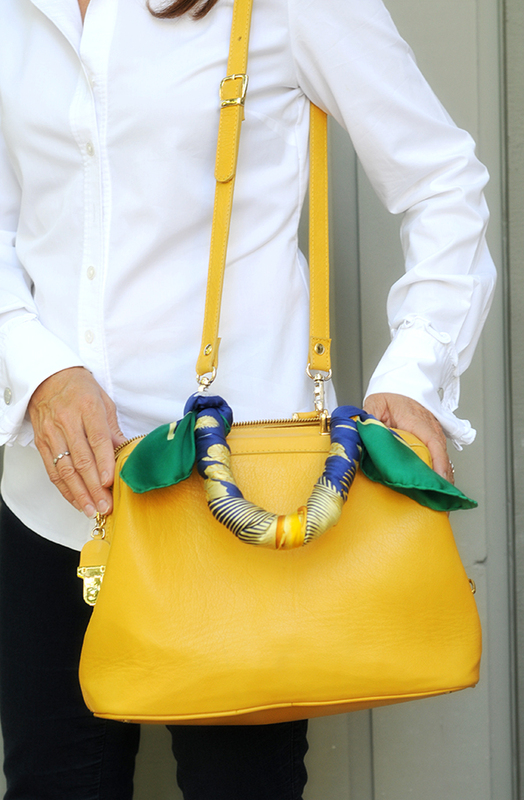 Question: What is more interesting: a unique artist made handbag or a big-name brand bag? Yes, it is easy to fall in love with a handbag made from Italian leather like Gucci's latest leather and bamboo backpack, or a chic Chanel or Bottega bag.... but it is even more amazing when you fall in love with an artist made handbag. In addition it isn't the most expensive handbags (or jewelry, or shoes...you get the idea) that consistently draw attention from friends. It is 99% of the time something that is well designed, unique and often not well known that leads friends to ask "where did you get THAT?". 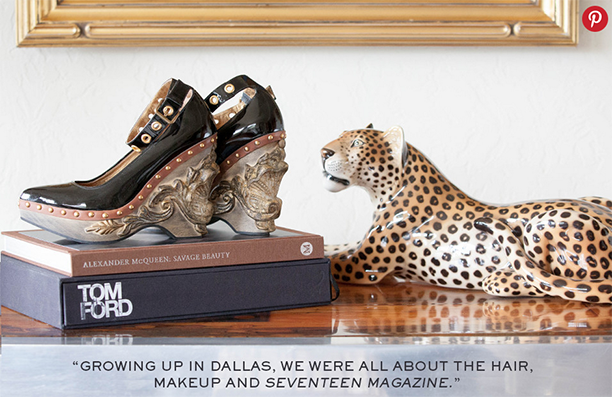 M and I both share a love of artist driven design and fell head-over-heels for these T + M clutches several years ago. 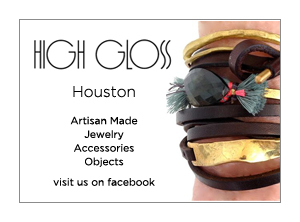 They are high design and a splurge we highly support! 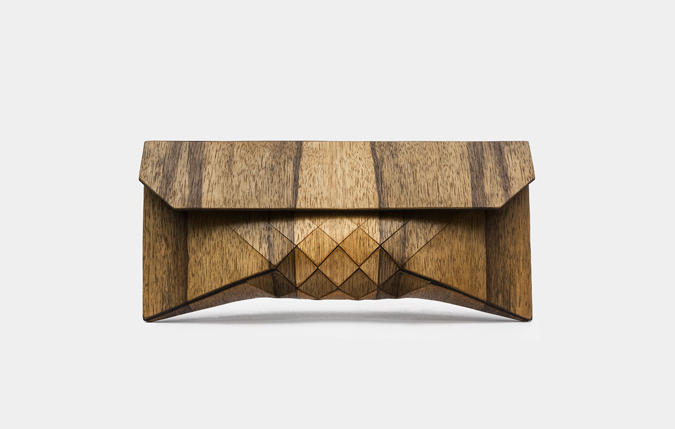 If you do not currently own a wood clutch this is the one to get. Tesler + Mendelovich are a Televivian couple who met in school and work as a textile team—developing materials that they transform into products. There clutches can be seen online and come in a few sizes with a wide variety of wood options. The largest one "Great" is very large so make sure you look on their site under "Reviews" to see the scale of a few of the "Great" pieces. 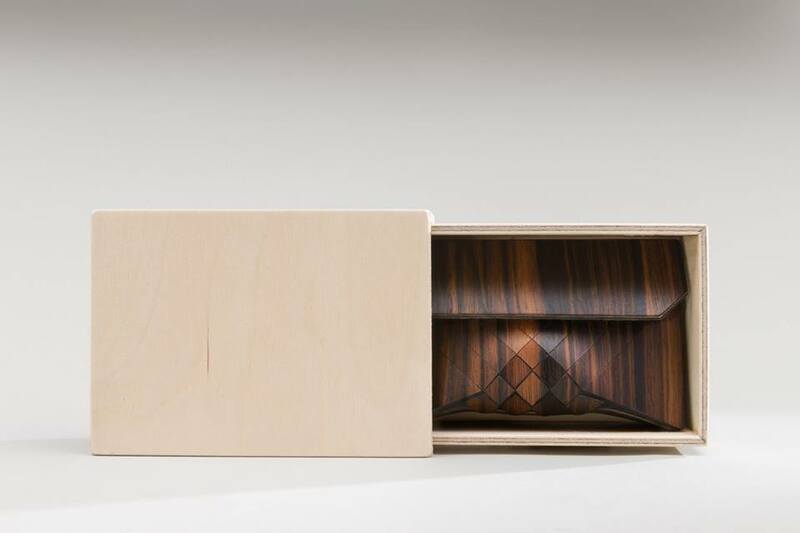 Each clutch is sent in a sustainable handmade wooden box for storage (see image below). See a short vimeo on this dynamic artist couple here. Visit their site to see their complete line here. Each clutch is made upon order with a 6-8 week turnaround time. Orli let me know that they ship all over the globe through FedEx. Delivery takes between 24-48 hours once shipped. "...once the clutch has been picked up by courier we send the client a FedEx tracking link as well as a digital lifetime warranty and care guide which is a digital PDF booklet (sent by email) that contains information about their chosen wood, a care guide and also has the clients personalized catalog number for future reference." If you end up ordering please let us know what you think in our comments section. Also-wooden handbags/clutches have gained in popularity over the last few years. If you know of an artist who is making unique, high design bags please let us know. Valentines ideas that say "i love you"
Isn't it great that Valentines Day falls right after the New Year? It allows us to celebrate those we love [ and reminds us to love ourselves ] a little more in the new year. This year, lets show our love in simple ways, like cutting red hearts out of construction paper and scattering them throughout the house or taking better care of ourselves by stealing quite moments for ourselves and indulge in a bubble bath or taking time out to do nothing! This Valentines we have been hunting for luxurious items that say "I Love You" without breaking the budget. We adore Jo Malone scents—for her and Jack Black skin care—for him. The artisan chocolates by William Dean are little works of art that you will want to look at, and display, before you consume them—they are gorgeous. We also included a couple of very practical gifts like the multi-piece tool kit and wine opener, in red, of course! We hope everyone enjoys this holiday with their loved ones. 6. The Sexiest Chocolates You Have Ever Tasted!